SNES Super Mario RPG: Legend of the Seven Stars (USA) in 2:40:26.17 by spezzafer. 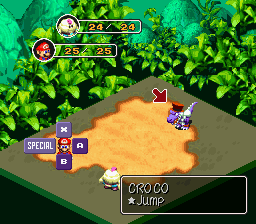 Super Mario RPG is a humorous combination of a Mario-style platformer and an RPG. The most significant changes in this run includes skipping non-essential battles, including Culex.